Get ready to share your best practices and ideas with more than 100 community college marketing professionals across Texas. 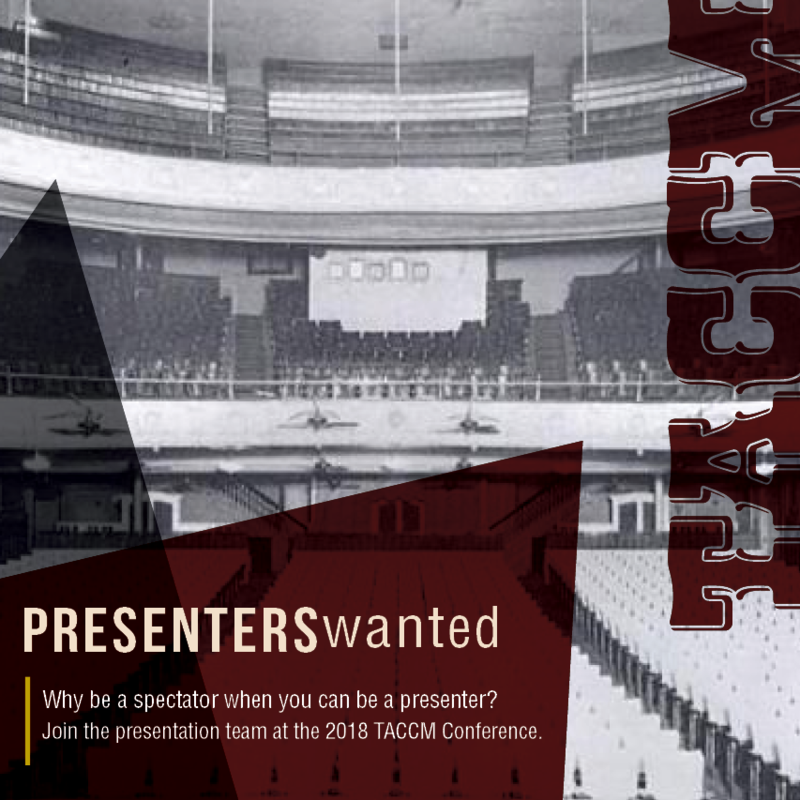 Submit your presentation for the Texas Association of Community College Marketers (TACCM) 6th annual conference on June 25-27, 2018 in downtown Fort Worth at the Embassy Suites hotel. Presentations will be presented twice and session blocks are limited so submit your presentation for consideration.